Hey guys! You know the song that we play at the end of our award winning sets? 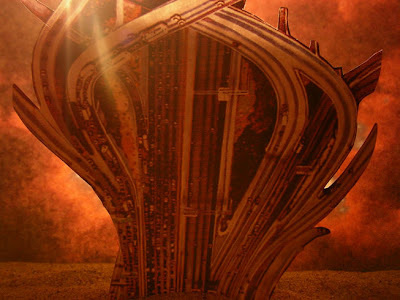 It's called "Fire Away", and we've posted the definitive album version on our myspace page. Please check it out and leave comments. If you haven't seen the live version of Fire Away on Canadian TV yet, check out the JR Diggs Show version here . 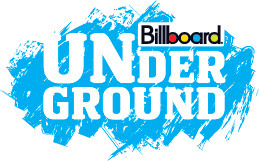 Our song "Countdown" has been chosen for the very new and trendy Slide.com. 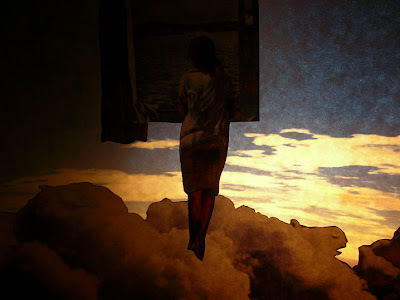 This is a site that allows you to create a slideshow of all your favorite pictures from around the web. They allow the user to chose one of ten songs to be the soundtrack tot he slideshow, one of which is "Countdown". Normally, I'm not a fan of this kind of forced music, but in this case, HELL Yeah! Check it out by clicking the hi-lighted words above. Here is a truly awesome photo set of our Mercury Lounge show by our good friend Brad Gilley and drummer extrordinaire from Austin, TX. It's funny how k looks constipated in all the photos. Remember the glitter? K did. He drank a whole glassfull of it and saw it again on its way out the next day. In case you're wondering, the camera crew was from a University TV network that'll put clips of the show into many pizza encrusted and redbull saturated dorm rooms across the country. Thanks everyone for coming and making the night a sweaty one! 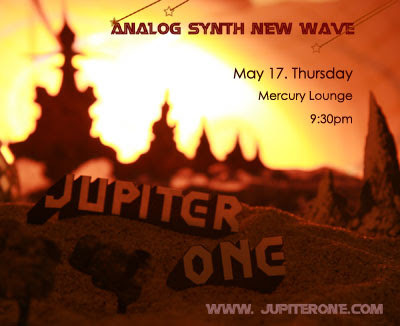 Jupiter One Mercury Lounge Show!! The Mercury Lounge. 9:30pm. $10 cover. Here we are again at the Mercury Lounge in the East Village. Also playing are Autodrone and Rotary Downs. Click on the picture below to go to the Mercury Lounge website for directions. See you there! That's right! We're very proud to have gotten our first west coast spin yesterday on LA's mega indie-rock station Indie 103.1. We got on a show called Passport Approved on Saturday afternoon. If you live in LA or wish you did then please take a second to call the station and request another play for Jupiter One's "Countdown". You can also request our song online here. Thanks for the support. Also stay tuned for a nationwide radio campaign in June! Here we are, being goofy in a convenient photo booth they had IN the actual place we played in Beantown. Revolution Rock Bar they called it. Had pictures of Hendrix all over. Thanks so much to everyone who came out and got wasted with us. Sorry to all those Sox fans who asked me if I liked baseball and I couldn't quite find an answer or keep the conversation going. 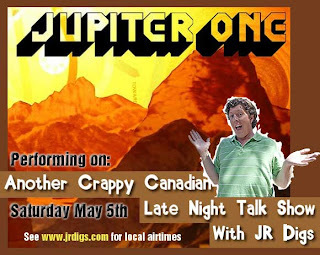 The episode of Another Crappy Canadian Late Night Talk Show on Saturday May 5th will feature Jupiter One performing "Fire Away"! Go to http://www.jrdigs.com/ and click on "sched." for local airtimes.